Check Out Our Free Maryland Trial Resources | Jimeno & Gray, P.A. At Jimeno & Gray, P.A., we provide client services that go beyond the ordinary, whether you were injured in an auto accident, DUI/DWI charge, or are dealing with a divorce . We have worked to educate our clients to better understand Maryland law, and how the legal system actually works. We know that when we educate our clients they end up making the best decision for their case, which helps them become financially secure after an incident that jeopardized their financial freedom. Please take advantage of our free educational materials that are right here on our website, including videos, blogs, and answers to common legal questions. You can request a free copy of our legal education books, which are available as a free download. We hope that these resources assist you in making an educated decision on what action should be taken in your legal case. We’ve worked hard on building out these resources just for people like you, and we hope they help. If you are facing DWI/DUI charges in Maryland, you could suffer serious penalties that will impact your future. Order our FREE book and protect your rights! Don’t ruin your Maryland auto accident case before it begins. Find out what every Maryland car or truck wreck victim needs to know in our FREE book! Dealing with adultery in your marriage? Here’s some things you should know. When should you date after you separate from your spouse? Filing for a divorce after voluntary separation. 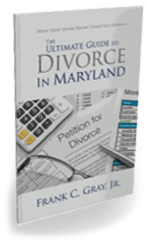 Understanding your grounds for divorce in Maryland. 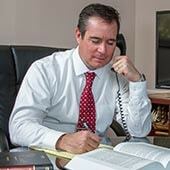 Understanding the lengthy divorce process in Maryland. Understanding your rights to a speedy trial after a crime in Maryland. Driving on a suspended license? Were you caught? Check out our article. What are the probable causes for a search and seizure in Maryland?